Image 01: Google Analytics data on blog traffic to the Design for India blog with source and volume of traffic. The blog traffic on ‘Design for India” has crossed a significant landmark with the clocking up of 100,000 page views a couple of days ago. This has been accomplished by 58,500 visits from 45,000 visitors from 106 countries and over 4,900 cities across the world. In India we have had over 32,000 visits from 119 cities with Ahmedabad, Bangalore, Delhi and Mumbai topping the list of visits and visitors. The next country is the USA with 11,600 visits from 52 States and 2300 cities joining the list. The United Kingdon comes in third with 2,500 visits from 358 cities. Canada, Australia, Germany, France and Italy take the next five places on the list. 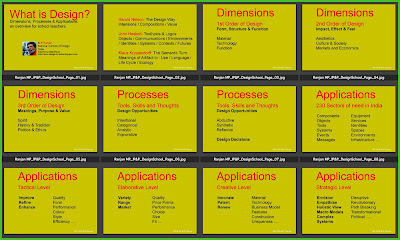 Image 01: Thumbnails of slides used for the “What is Design?” lecture dealing with Dimensions, Processes and Applications. “What is Design?”, will be a perennial topic since design is and will always be a moving target whenever we attempt a definition since it is always rooted in the present time and can only be understood and appreciated in the context of the “particular” place or location and a “general” description will need to take that into account as well. Each age will need to take stock of the definition and as we evolve so will design and hopefully our design ability. Design is one of our basic abilities, which we have used in more and more sophisticated ways as we evolved and enhanced our human sensibilities and capabilities. In the period of slow transformation through craft based processes of trial and error many of these sensibilities were refined and we could fall back on traditions to find our way forward. Image 02: Thumbnails of the second part of the lecture dealing with design concepts and models that lead to our current definition of design as a basic human activity and this calls for a greater focus for the subject in our school education in the days ahead. However in the post-industrial era reach and impact of our senses and abilities have been considerably enhanced by our multitude of tools and our externalized knowledge processes that we now have the capability of changing and impacting nature in dramatic ways, many of them undesirable, and our economic and social frameworks lag behind by a huge magnitude, that we are on the brink of failure as a species. Design becomes all the more important in this scenario and we will need to temper our dependence on science and art which has helped us evolve very rapidly over the past 600 years since the Renaissance if we are to face the crisis that this dependence is to be addressed. Code to embed podcast of lecture sent by Satya Murthy using MP3 file provided by me. The stainless steel name boards in the picture below as seen outside the Directors office at NID were installed by Dr Darlie O Koshy just before he took premature relief from the post of Director NID in October 2008. This however does not tell the whole story of the Chief Executive positions at the National Institute of Design. The history of NID is yet to be written and the history of design in India too would be intricately intertwined with the actions and roles of the various persons who have played a leadership role at NID, particularly in the position of its CEO, which has had various nomenclatures at different points of time. With the announcement last week of the next incumbent to the post of Director NID, Prof Pradyumna Vyas, we get a chance to reflect on this particular position and to look back at the individuals who have played a role in this particular office at NID over the years. Image 01: Stainless steel nameplates to celebrate the various persons who had occupied the position of Director NID over the years. However the inlaid comments show that the actual nomenclature used was that of Executive Director till 2006 when it was changed during Dr Koshy’s second term to that of Director NID for which there has been no real explanation so far from anybody. The names and designations in between the plates are those of individuals who have held charge in the gap between two formally appointed Executive Directors which happened in 1972 and in 2008, both due to an unplanned transition in each case. However, the NID did not start with its organization being headed by one Executive Director. According to the organization chart that was published in the NID Documentation1964 to 1969 (download the 24 mb pdf file here about the early history of NID) the institute was managed by a Directing Board which was later substituted by an Internal Management Board, both of which were headed by Gira Sarabhai while Gautam Sarabhai held the position of the founding Chairman of the Governing Council of NID. In 1970 they brought in Vice-Admiral Soman as the first Executive Director of NID with the intention of helping the faculty to ease the interface with the Ministry of Industries and the Government of India in order to obtain funds and to manage the general accounts and administration of the Institute. This did not work out as envisaged and there was a falling out of severe proportions and the first Executive Director, a distinguished Ex-Serviceman, was sacked by the Governing Council and all hell broke loose in the media and NID entered its first era of severe crisis of management. Image 02: Organisation structure of NID before the induction of Vice Admiral Soman to the post of Executive Director at NID and Gira and Gautam Sarabhai with the Eames Office team at NID in 1964. The Directing Board was constituted to include the Heads of Industrial Design, Communication Design, Studios and Workshops, Architecture and the Secretary (Finance and Administration) and Chaired by Gira Sarabhai. Prof Kumar Vyas and Dashrat Patel were both members of the Directing Board and later on the Internal Management Board, each representing the two major faculties, Industrial Design and Communication Design, respectively. I was a student at NID at that time and we too took sides in the grand battle lines that was drawn up between the ideological design teachers and students on the one side and the then NID Administration on the other trying to control and dictate how design education should be carried out. Vice Admiral Soman was a distinguished public figure but he was also quite unsuitable for the role that he took at NID and his departure from the institute and the controversy that followed left a long period of turmoil at NID after a decade of amazing developments that saw hundreds of great international designers making contributions to the shaping of a unique institution at Ahmedabad. 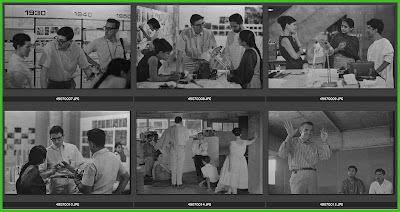 Image 03: Charles and Ray Eames camped at NID with the Eames Office team in 1964 to work on the Nehru Exhibition and this project was a major training ground for the first faculty at NID. A list of these international design experts is available at the back pages of the NID Documentation 1964-69. Gautam Sarabhai produced an immaculate document that captured the spirit of NID culture and shared it with all of us students and the faculty in a series of meetings. The document, fondly called the “Structure Culture Document” has returned time and again in the hands of students and faculty whenever administrative problems came to a head at NID. Design was not understood by many and design education was an even bigger mystery for most administrators and Government babus, quite unlike the fairly comprehensible and stable systems that seemed to be present in medicine, technical and management education of the day. 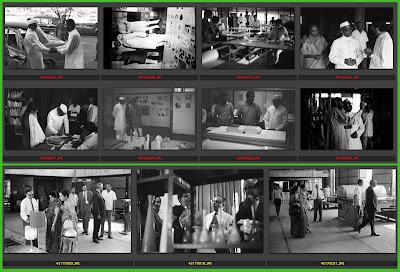 Image 04: Governor of Gujarat, Sriman Narayan being hosted by Gautam Sarabhai at NID studios in 1972 and below Vice Admiral Soman guides distinguished visitors through the NID workshops. Image 05: Ashoke Chatterjee with Romesh Thaper and a number of distinguished Governing Council members meeting senior faculty at a display of NID work in the show room and Aquarium area. Ashoke Chatterjee (AC) came to Madras to meet me soon after he had settled himself in the hot seat at NID as the second Executive Director of an Institute in crisis. My letters for justice to the Chairman Governing Council had landed on his table and this visit besides other tasks was to check out what I had been up to in the year and a half that I had been away from NID. What he saw there at my fathers’ factory and the Rockytoys shop must have comforted him since I soon received a letter from Prof Kumar Vyas offering me a position at NID as a full time faculty, which I accepted and joined back in June 1976. AC was very fair in his dealings with everyone while he was firm in all his dealings and in doing what he thought was right, a stickler for ethics and values, which many feared since it was a new dimension for them in the bazaar values that prevailed in those days. He was interested in and understood Communication Design and in my view had a bias towards this field while the Industrial Design activity languished since there was no sympathy for this fledgling activity and industry in India did not seem to understand it either, need it or want it at all, at least in the form that we were offering it at NID. As a result much investments were made in communications design and designers at NID while the ID chaps bashed on at a lower echelon in the order of things at NID. Ravi Matthai emerged as a major mentor in this period and the Jawaja project. 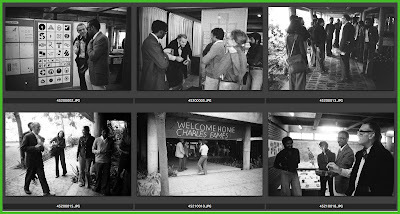 Image 06: Ashoke Chatterjee and young NID faculty and students welcome Charles Eames on his last visit to NID in 1978. The Rajasthan Family Welfare & Health project; the Water Mission Projects and the Agri Expo were examples of development action that AC supported and nurtured in his long tenure at NID as its ED from 1975 till 1985. Industrial design being left largely alone discovered other avenues of relevance and many of these were in the development and the crafts sectors in India and with opportunities in rural India, which was not being addressed by the communication design group. Under AC’s leadership NID conducted the remarkable UNIDO-ICSID Conference on Design for Development in 1979 and also won him the Sir Misha Black Award for excellence in Design Education at NID. In this period NID also won recognition at the ICSID-Phillips Award for excellence in Design for Development, a golden period for NID. (download the Ahmedabad Declaration as a pdf file and the Major Recommendations here). During this period NID also got massive financial support from the UNDP to upgrade equipment and send faculty for training as well as afford to invite a large number of international design consultants to review and strengthen its programmes and activities. However much of the UNDP investment went into the Communication Design areas of Video, Photography and Exhibit Design and I was a vocal critic of this imbalance particularly since there was no investment in the area of computers, which I felt was a critical new area to be explored. A huge number of Corporate Identity projects were handled by the NID faculty and students during this period. 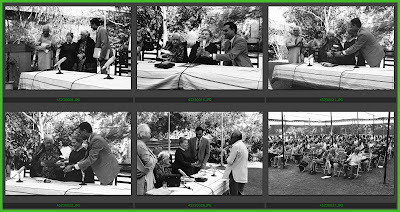 Image 07: Vinay Jha and Prof. Yash Pal, Chairman Governing Council with Ray Eames and Kamaladevi Chattopadhyaya at the Eames Award Ceremony in 1988 on the NID Lawns, now called the Eames Plaza. The strong bias towards Communication Design changed substantially, though briefly, when Vinay Jha, IAS joined NID for a brief tenure from 1985 to 1989 during which time the linkages with Indian Industry were improved through our sustained contacts with the Confederation of Indian Industries (CII) and the CII-NID partnership took hold. On the international front the ICSID contacts took a fresh turn when Vinay Jha joined the Board at ICSID and forged strong linkages with a number of international schools and design professionals through his involvement on the ICSID Board. I was fortunate to be handling the NID Consultancy Division as the Chairman Design Office from 1981 to 1991, in an acting capacity in the early years and in with a full charge when Vinay Jha took office at NID. Vinay Jha brought in administrative reforms and decentralized decision-making and delegated financial authority to faculty heads and activity chairmen for the first time at NID. We made grand plans to reach design to industry and a number of road shows about design were rolled out to take NID designers and design teachers out of the campus to meet corporate leaders and this was organized through the CII connections. However the economic liberalization of the Indian economy was still in the making and much of this investment fell on deaf ears but few projects did materialize through all the legwork that was done in those days. 4000 proposals that I was personally involved in drafting on behalf of the NID faculty teams as head of consultancy led to the actual landing of about 400 professional projects, small and large, at NID and this was a huge body of experience which is still to be fully analysed and appreciated, hopefully to be documented and published some day. In all these projects the NID Executive Director had a large role in both client interface as well as in providing internal resources and supports. In 1986 Vinay Jha supported my suggestion that the book, “Bamboo & Cane Crafts of Northeast India” could be designed and printed at Bombay which we completed and launched in October that year. I had also repeated my plea that NID review its computer policy and Vinay Jha decided with the help of a Governing Council Committee to use the residual funds from the UNDP grants to set up a Mac and PC Lab at NID, which brought in computers for distributed use into NID in a substantial way for the first time. Image 08: Vikas Satwalekar as a young faculty in 1972 and later after he stepped down as Executive Director, NID in 2003 (picture uploaded by Vikram was taken at the 2003 Convocation exhibition). Vikas Satwalekar took over in 1988, first as Acting Director and was later given full charge and for the first time an NID trained designer and a faculty member was at the helm of affairs. The bias towards Communication Design however continued at NID and this time the emphasis was on Exhibition Design and many mega multi-disciplinary projects were taken up by the Institute. In other areas the activities got bogged down in many ways and while education took centre stage with a major curriculum review programme the activities with an intention of establishing quality benchmarks in design education. The areas of research and outreach did not flourish much due to an inward looking attitude and in much effort being expended in solving legacy problems with the labour union activities at NID. 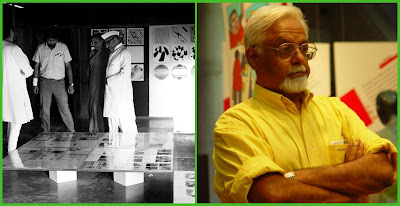 Ashoke Chatterjee continued to teach and conduct research at NID, first in a special capacity as Advisor during the term of Vinay Jha and later as a Senior Faculty teaching Design Management and then as a Fellow in Communication Design with a focus on Social Communication. The work done at NID was documented in a two-page poster-folder called NID Milestones in 1998 and it lists the major achievements of NID from 1961 to 1998. (download pdf file NID Milestones here as a 2.1 mb file) A major review of education was conducted during this period and I was involved on a committee that undertook this enormous task, which resulted in the production of an eleven-volume document that was placed in the NID Resource Centre. Each course was described and teachers were asked to present their course to the Curriculum Review Committee as it was called along with work examples and the intention was to articulate course objectives, methods and content as well as assignment level details of the various programmes at NID. The quality benchmarks for each course were expressed in the document so that the teachers, coordinators and students would have adequate information about the courses being offered and could be monitored through the various regulatory channels that existed, namely the Consultative Forum, Discipline Meetings, Faculty Forum and the Course Presentations, all of which were dismantled with the arrival of Dr Darlie O Koshy. With education being the focus of Vikas Satwalekar’s term in office, I too was involved in Institution building tasks that took the NID expertise to other centres of design learning and these can be seen in our contributions to the setting up of the Accessory Design Department at NIFT, New Delhi, the setting up of the Indian Institute of Crafts and Design in Jaipur and later in the setting up of the Bamboo and Cane Development Institute at Agartala which is described at this link below. 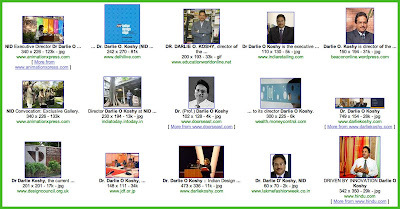 Image 09: A quick search of Dr Koshy on Google images came up with these pictures, which are based on his much cultivated media presence over the eight years at NID. Dr Darlie O Koshy came into NID in June 2000 and immediately went about making mega plans for the expansion of the student base as well as disciplines that were taught at the Institute. Working on a brief provided by the DIPP and NID Governing Council he started profiling the Institute in the media and called for growth in all activities especially education. Hundreds of activities were initiated in setting up NID Satellites at huge costs in as many as 25 cities each being copiously profiled in the National media and all education programmes too were scaled up and the number game was up and running and the Government seemed to love the show and money poured in from all sides. Two new campuses were hastily initiated and set up but this I believe was unfortunately at the cost of both quality and content. He moved at great speed and it can only be compared to the moves of a “Bull in a China Shop” and whatever came in the way was laid waste and new spaces sprung up where workshops and studios existed before, each with a new name and an unclear but significant promise to be delivered down the line. Huge funds were generated from Government and massive expenses were incurred and it seemed that funds were unlimited and the supply was infinite while accountability was a thing of the past. The number game was truly on and the student numbers were constantly quoted as a justification for the critique of loss of quality that faculty and students and later the alumni joined in the chorus that became a crescendo. There was huge media coverage during this period with the NID Executive Director appearing in the media on a regular basis and the message from the Institute was disseminated through the Design Plus and on the web as a continuation of the Milestones list which can be seen at this link on the NID website. 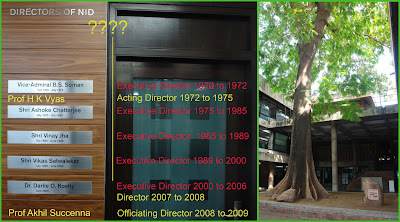 However the Milestones list on the NID website is silent on the period between 1997 and 2000 which set the tone for the Corporate Communications from NID as it was renamed like so many other NID activities, disciplines and departments under the new Executive Director in 2000 onwards. History was being rewritten at NID. The Executive Director was given a second extended term of office in 2005 but soon afterwards the designation was suddenly changed to that of Director NID. The final critique came to a head when the new Gandhinagar Campus started creating numerous logistics crises and the last straw was the problems with the buildings and facilities that made both students and faculty react strongly leading to a review of all plans for the immediate use of the new campus. Dr Darlie O Koshy took premature relief and moved to a new assignment in New Delhi. Akhil Succenna was given temporary charge of Officiating as Director in October 2008 and the Governing Council set up a Search Committee to find a new Director for NID. The process took several months and after a process put up three names to the Government for its final decision. 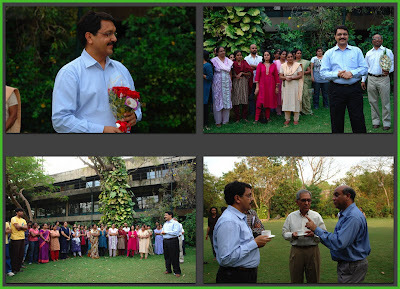 Image 10: Pradyumna Vyas being welcomed by faculty, students and staff of NID in the presence of Salman Haider, Chairman Governing Council of NID and Mahesh Korvvidi, COO of Design Business Incubator at NID at a community function of samosa and tea on the NID lawns. We now have a new Director in place with the appointment of Prof Pradyumna Vyas as the second in the new series as Director at NID and eighth in the line of all Heads of Institute if we include all Executive Directors, Acting Directors and the Directors who have presided over the affairs of the Institute at Ahmedabad over the years and this excludes Gira Sarabhai who was the defacto Head of NID in her capacity as Chairman of the Internal Management Board in the early years of NID. There is now a new hope amongst students and faculty and they have been vocal in expressing their hope in looking forward to a period when design will once again be given the importance that is due both within the Institute as well as across India in the 230 sectors in which it is needed today. Prof Pradyumna Vyas had a session with the faculty where he talked about consolidation and the need to put together a comprehensive history of NID to make visible the 50 years of efforts at the Institute and I do hope that this will be something that the country can be proud about. We need our alumni and our former faculty to participate in this effort and if we can use this initiative to also map out the contributions of our alumni and graduates it would provide a platform from which design can be brought to the focused attention of Government and Indian Industry in order to bring it on par with science, technology and management after having languished on the back burner for 50 years since the Eames Report. 50 years on it is a good time to reflect and build the seeds for the future of Design for India. 7. Ashoke Chatterjee, R K Bannerjee and Neera Seth, “40 Years of NID” (an unpublished draft manuscript), NID Publications, 1998. 9. Milestones on the NID website ; 1961-1970 ; 1971-1980 ; 1981-1990 ; 1991-1997; 2000-2001 ; 2002-2003 ; 2004-2005; 2006-2007 ; Integrated Design Services 2001-2005 Note these links to NID website are now disfunctional since NID has changed the links or dropped the items from their website.